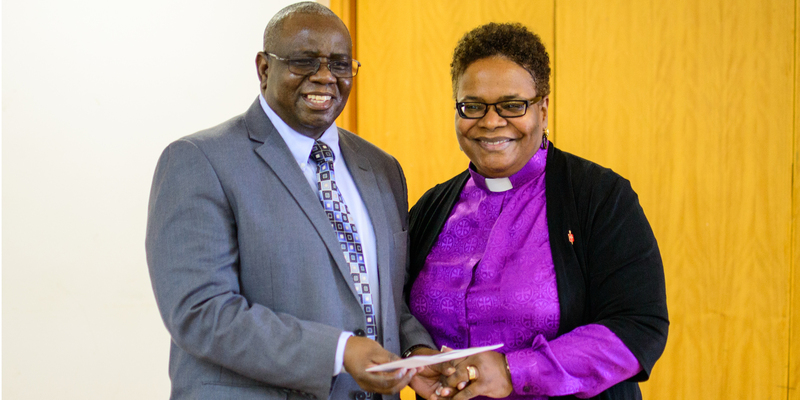 The Baltimore Washington Conference of the United Methodist Church (UMC), through Bishop LaTrelle Easterling and delegation to the 2017 Pastors’ School, has presented a gift of US$8 000.00 to Africa University. Speaking before the presentation of the gift, Bishop Easterling mentioned that Africa University has been and continues to be an oasis of hope for young African’s who aspire to change the course of African countries. 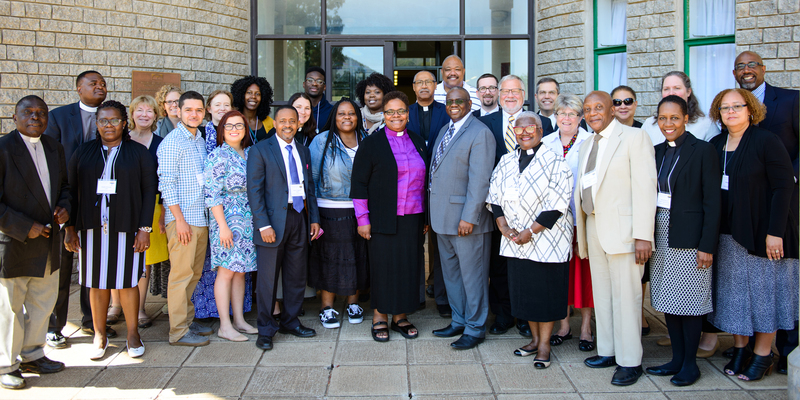 She added that through this gift, Baltimore Washington Conference is fulfilling its responsibility of sowing back to Africa University’s Ministry, giving it support to continue its transformative work on the continent - work which is so important to the UMC global community. “This is a gift from the Baltimore Washington Conference for the continued work of Africa University’s powerful ministry. This work is bigger than us, it is bigger than anything we can hope or dream of. As supporters of this ministry, we are simply pilgrims on the journey of this ministry.” she said, presenting the check to Vice Chancellor of Africa University, Prof. Munashe Furusa. He added that the University had grown over the years through a God-guided vision to become a sanctuary for so many of its students who come from various parts of the continent seeking hope to go back to their communities, better equipped to make a difference.